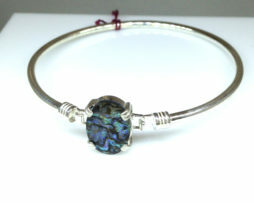 Category: Bracelets. 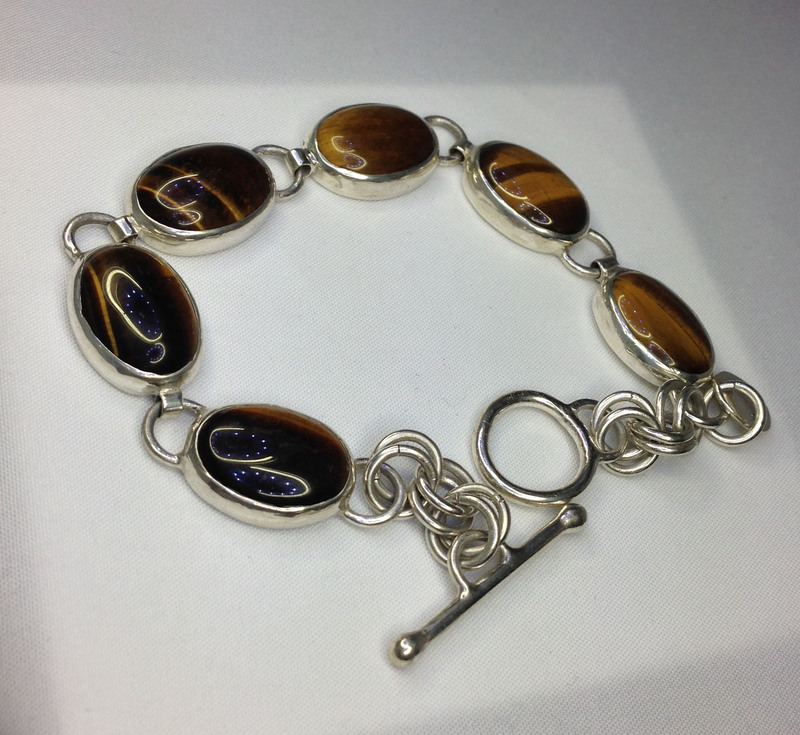 Tags: Argentium Silver, Bracelet, Brown, Orange, Sterling Silver, Tiger Eye, Yellow. 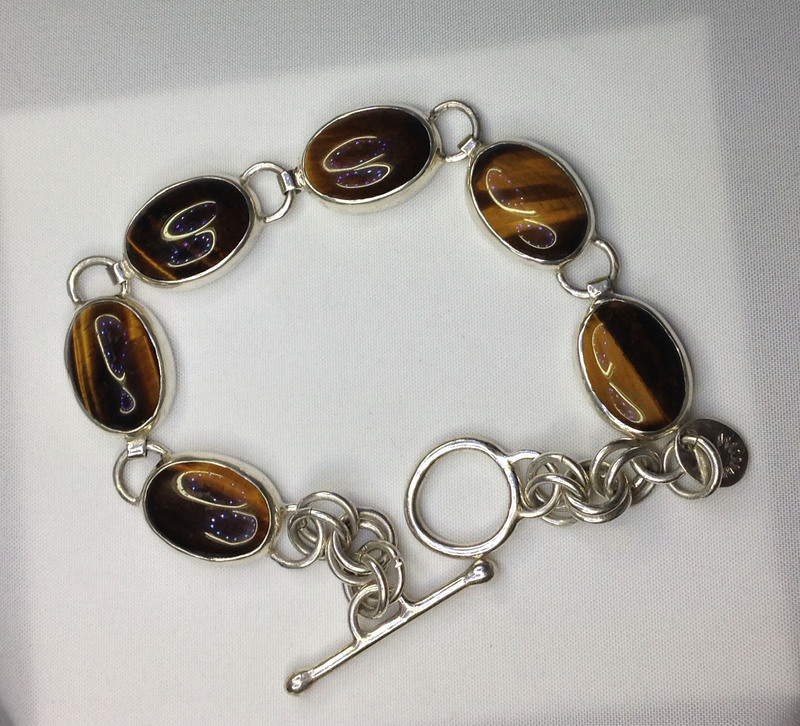 Robert Michael acquired a “slice” of Tiger Eye stone and cut several pieces in various shapes and sizes. 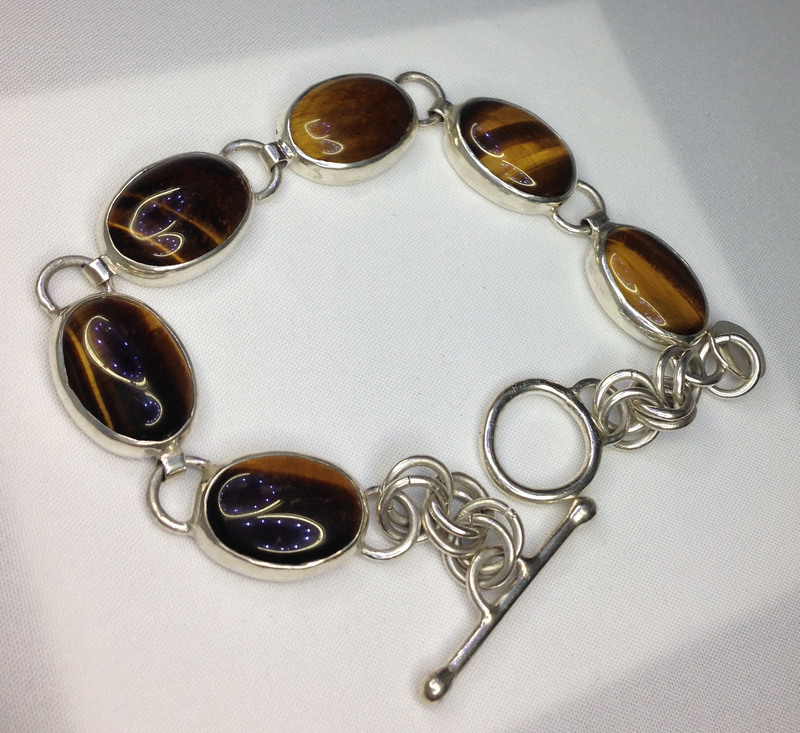 He formed six 15mm by 10mm Cabochons to create this 7 1/2″ Sterling and Argentium Silver Bracelet. 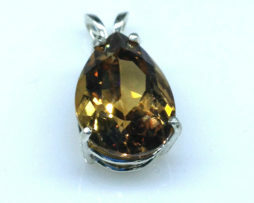 The white “S” pattern on the stones are simply a reflection of the photography lighting. 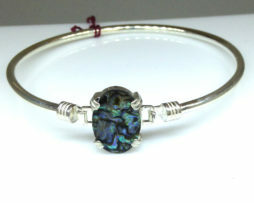 Robert hand-crafted each of the components including the stone settings, rings, loops and toggle clasp. 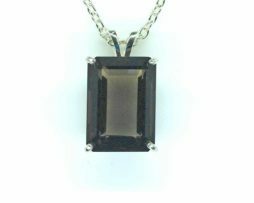 A One-of-a-Kind piece. Search for similar items clicking on the highlighted words next to TAGS above on the right. Please be aware that the items in the photos are often much larger than actual. This is done intentionally to give you a close up view of the items.